(AFP) - Ukraine's president signed an act imposing martial law in border regions on Wednesday as mounting tensions over Russia's seizure of Ukrainian ships saw US President Donald Trump threaten to cancel talks with Vladimir Putin. President Petro Poroshenko's spokesman confirmed he had signed the act, which introduces martial law for 30 days in 10 regions bordering Russia, the Black Sea and the Azov Sea. The move came after Poroshenko warned of a build-up of Russian forces near Ukraine's borders, escalating the most dangerous crisis in years between the ex-Soviet neighbours. 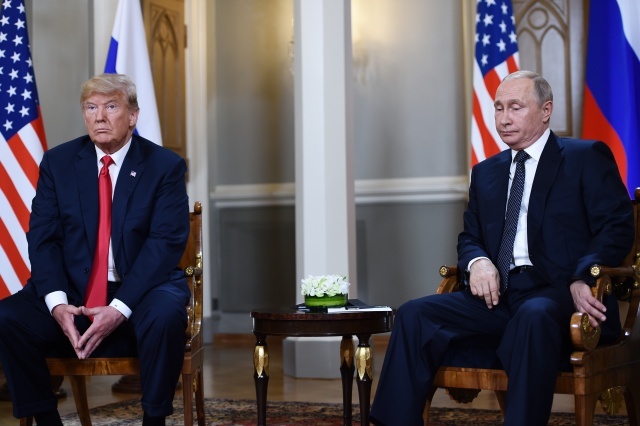 Western governments have accused Russia of acting illegally in seizing the three ships and Trump has said he is considering cancelling planned talks with Putin at this week's G20 summit in Buenos Aires. "I don't want anyone to think this is fun and games. Ukraine is under threat of full-scale war with Russia," Poroshenko said. Putin has blamed Kiev over the incident, warning Ukraine against any further "reckless acts". On Wednesday Kremlin spokesman Dmitry Peskov said he expected the meeting with Trump to go ahead.